The Gunners lost 2-0 to defending champions Manchester City on the opening day of the campaign before a 3-2 loss to Chelsea FC a week later, which had many people writing Arsenal FC off under Unai Emery. However, their results since have prompted a rethink amongst the media and pundits as the group looks more united than it has in a long time to move to within two points of the top of the table. Aubameyang, who scored the final two goals of a 5-1 rout of Fulham on Sunday, is adamant that the north London side can extend their winning run. 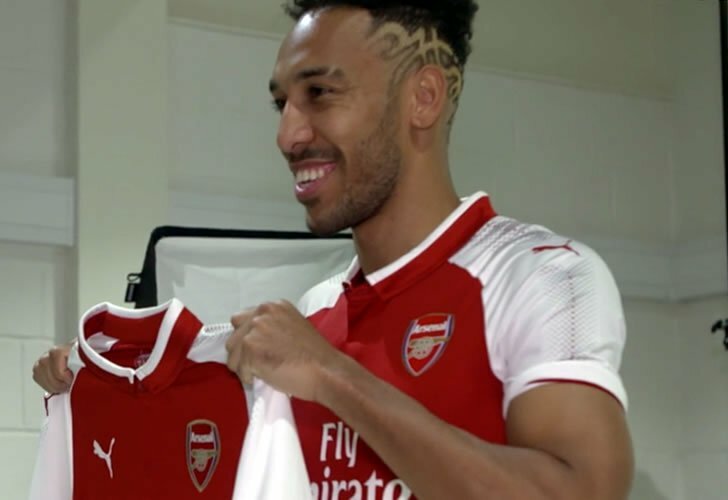 “I think we have to keep this mentality,” Aubameyang told Arsenal FC’s website . Arsenal FC have put themselves in fourth place in the Premier League with their impressive run, sitting two points behind joint leaders Manchester City, Liverpool FC, and Chelsea FC. Aubameyang is Arsenal FC’s top-scorer this season with six goals in all competitions, including four in the league, as he continues his great start to life in English football. He has contributed to the winning run which has seen Arsenal challenge on all fronts, mere months after the end of Arsene Wenger’s 22-year reign at the club. His journey through football has been complicated, playing at seven different youth academies, and having four loans in his early career. Once he settled at St Etienne at 2011, Aubameyang started scoring the goals which would get him worldwide attention, mostly from a wing position. The Gabon star moved to Borussia Dortmund in 2013 where he scored 141 goals in 213 appearances as a striker for the club over a four-and-a-half-year spell in western Germany. After being linked to most of European football’s superpowers, he moved to Arsenal FC in January of this year for a club-record fee reported to be around £56m. He has also notably scored 24 goals in 57 appearances for the Gabon national team.